In his diary Kafka said he enjoyed reading books of letters and memoirs because they helped him find some distance from himself and become the author's counterpart in their experiences and feelings. Nothing very unusual about that of course; it's why many of us read. Except Kafka recognises the self-deceit involved. On closing the book, he says he's always surprised that such an escape is possible because "experience inclines us to think that nothing in the world is further removed from an experience than its description". The experience he refers to here is his own writing tormented by a dynamic of trust and suspicion. In 1904 it's an "axe for the frozen sea inside us", in 1922 it is a "descent to the dark powers". At this time however, as a reader, he recommends submitting to a book in order to find "a clear road into what is most human". What needs to be noted about this entry is that it is written in the third person plural and that I have assumed it is Kafka speaking for himself, as if the experience that inclined him to think that nothing in the world is further removed from an experience than its description is itself an experience and, in order to be written down, has to be removed from any connection to the singular self. Syntax sets Kafka at a distance. 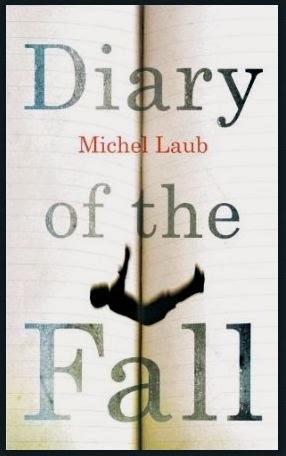 Michel Laub's Diary of the Fall is presented as its title suggests in short, labelled entries written in the first person, lulling us into the comfort and security of a singular self. This allows the reader to do exactly as Kafka recommends because a diary immediately engages one in a confidential drama removed from the formal procedure of a literary novel. It is also one with which we will feel entirely familiar as readers of literary novels: the mystery of a man who survived Auschwitz and then killed himself in middle-age, leaving only mystery in his wake. Much later his son discovers a notebook containing only idiosyncratic definitions of certain words. Nothing is so far from the son as his father's experience, and there is no access except this notebook. To add to the burden, he has now been diagnosed with Alzheimer's and is writing to preserve what memories he has left. The diary of the grandson then – the novel we are reading – rises up between the twin voids of past and future with a question inherent to the diary form: what does it all mean? In the grandson's case: his alcoholism, his successive marriages and the bullying of the only non-jew in his school, a boy from a poor, single-parent family. The question "What does it all mean?" thereby assembles the ingredients of a classic literary fictional dish: race, class, guilt, history, inheritance, obsession, addiction and memory. While this sounds like the next prize-winning novel you won't be able to put down or forget, there is something peculiarly resistant about Diary of the Fall: it is so easy to read, its personable narration insinuating so effortlessly these resonant themes, that hints toward an impending revelation never stop coming, yet which never quite arrives. Surely, I thought reading on, this design is too easy as a fiction, almost a caricature of a creative writing class exercise to compose a narrative with the most overt, button-pressing themes of literary fiction for this to be the last word. While there is a development – a wholly unremarkable one that only reiterates the novel's generic qualities – I was reminded of Kafka's recommendation and that "reading on" might be the key. After reading Diary of the Fall, try to find a significant passage and you'll notice there are no page numbers by which to navigate. At first I assumed it was because my advance copy was incomplete, but then I realised it was entirely in keeping with how a diary works: each day is marked to mitigate the extemporaneous repetitions of a solitary voice subject to his own ignorance. Continuity from one page to the next is not important. Both reader and writer are compelled to move forward all the while suspecting what's new is only a feeble recurrence of other entries, other stories and other lives. He imagines his grandfather's experience by reading Primo Levi's If this is a man, raising the possibility that everything we've reading about, including the narrator's own past, is a secondhand reconstitution based entirely on reading. His most pressing memory is the bullying of João, a Christian boy who was left to fall when given the birthday bumps by his Jewish schoolmates. For this to be a real diary, the dovetailing of smaller and larger stories appears too neat. Whatever their truth status, they are disproportionate experiences seeking order in a terrible meaning or meaninglessness. The dairy's own fall is held in abeyance. What remains is the possibility of meaning and access to experience. To achieve this might mean strengthening or undoing the neat unity imposed by the book. Unwilling or unable to do either, the diary form must enact literary fictional bad faith by obscuring freedom and confinement, formlessness and form, to approach and retreat from its goal, never quite able to convince itself of its value – a dynamic inertia that could go on forever. The author might have used the alibi of most literary novels by "painting rich characters" and introducing violent developments to mask the narrative impasse, so it's admirable that for the most part Michel Laub follows the logic of the form: the grandfather and father, the diarist's wives, João and the events that mark their lives are always only ghostly presences in this nightly dance of the diary. The narrative is relentlessly provisional. ... if Auschwitz is the tragedy that contains in its essence all those other tragedies, it's also in a way proof of the non-viability of human experience at all times and in all places – in the face of which there is nothing one can do or think, no possible deviation from the path my grandfather followed during those years. The grandfather's path was one of repression and suicide, the other, taken by the father, one of stoic realism; a different kind of denial exposed by Alzheimer's. So what is this current path of writing a diary other than a third in which writing reveals only its non-viability as a medium for sharing experience; a likelihood reinforced by its familiarity as a literary product? Writing here maintains a relationship with experience like bare feet tracing a sinkhole beneath an increasingly threadbare carpet, unwilling or unable to fall through. Perhaps the ambiguity between unwilling and unable is what Kafka meant by "what is most human".